If you're someone who uses a computer, you probably know the risks it can be subjected to. Virus, trojan, malware and not to forget the zero-day threat. Under such circumstances, and considering the number of security solutions hitting the IT market regularly, it is quite easy to forget the importance of the good old antivirus. But believe it or not, the antivirus for computer is still a powerful tool – like it was about a decade ago. Computer Performance: The moment a computer gets infected with malware, the first thing that happens is it slows down. An antivirus installed on your computer can prevent this from happening. That is, by protecting your computer against malware, it also ensures its performance does not go down; that it continues working at the same pace it used to when you first brought it home. No Hard Drive Issues: Hackers these days target often target the computer's hard drive and make it obsolete. But by using antivirus, you can prevent this from happening. You can ensure your hard drive stays in good condition thereby prolonging your computer's lifetime. Secures Personal Data and Prevents Identity Theft: Next is securing the data which resides on your computer. Doing this is as important as securing your computer itself. Because compromise of your personal data means not just compromise of your online identity but your online money as well. With security becoming a major issue, the number of free antivirus packages in the IT security market has increased tremendously. Unfortunately, most of them, unlike Comodo Free Antivirus, offer just the basic form of protection. And the bare minimum protection against today's sophisticated malware is close to no protection at all. Therefore, if you decide to go for free antivirus protection, choose wisely. Time to take action. 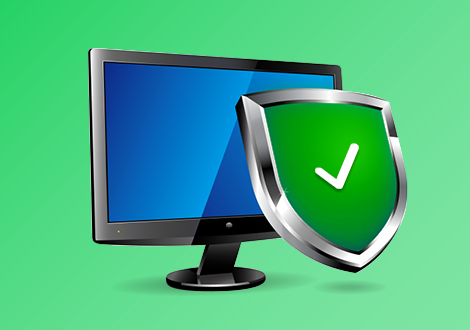 Protect your computers using the right antivirus package. But, before you do that, how do you know for sure a particular antivirus protects or not? The answer often lies in the methodology deployed by the antivirus for combating malware. For example, Comodo's unique Default Deny technology is foolproof enough to prevent unknown (whether good or bad) files from entering into your computer, which is a great way to prevent zero-day attacks. Similarly, study the technology employed by the antivirus software to understand its effectiveness.